Houston Ice Storm – is this houston? The big icy freeze everyone has been waiting for to skip out of work and school, finally blew threw last night. 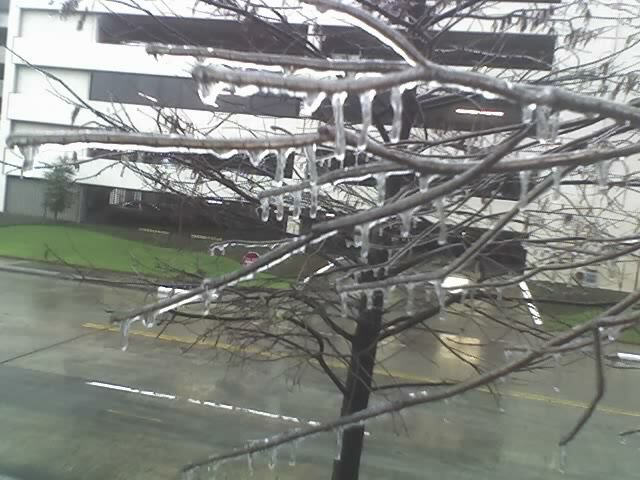 The conditions were so bad, there was even a couple of icicles (1/2″ to 1″ long) on these branches near my office. Be careful driving out there. Houston on ice… it must be global warming!! !